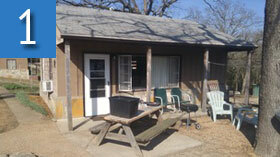 Our cabins are fully equipped and furnished. 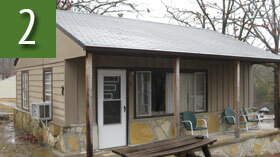 We offer clean, comfortable accommodations many with knotty pine interiors. 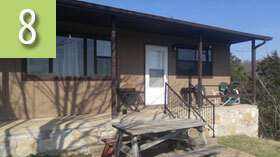 Each cottage is provided with linens, dishes, towels, cooking pans, a microwave, stove, refrigerator, air conditioning, and a coffee maker. 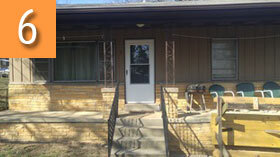 A color television with Dish network service and WIFI is also provided. 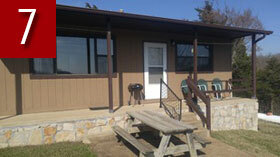 Outside each cottage you will find a picnic table and a full size grill with your own private patio. 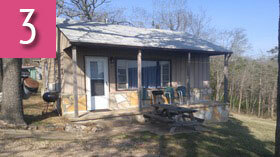 Each cabin also comes with one boat stall for your own boat. Pets are welcome for $15 per pet per day. Click on any cabin below to view availability and make reservations. We are open all year 7 days a week. 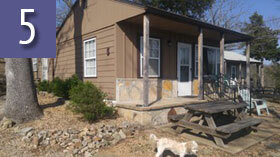 To view the availability of all of our cabins at once, see our Resort Calendar. 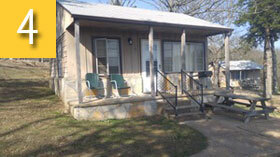 Reel-Em Inn @ Chit Chat Chaw Resort sits on 5 acres of waterfront land on Bull Shoals Lake in Northern Arkansas. Offering beautiful landscapes, excellent fishing, waterfront cottages, a pool and plenty of local wildlife Reel-Em Inn has something for everyone. Copyright © 2014 Chit Chat Chaw Resort, Inc.